Need Assistance? Give us a call and we'd be happy to help you with your project. We provide free quote and layout services. LED Light Modules are perfect for architectural applications because they are easy to use and they can be installed just about anywhere. The lead wire between each wire makes it simple to cut and re-connect to light any architectural surface. Available in single colors as well as color changing RGB. 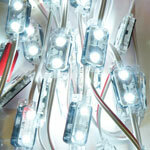 Our Super Nova Modules are our top quality LED Module. 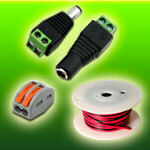 Manufactured using Samsung LED Chips and a constant current driving system. 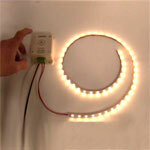 Single Color LED Modules. Available in White, Warm White, Red, Green, Blue , Amber. 1,2,3, & 4 Chip versions available. A variety of RGB Color Changing Modules, capable of creating over 16 million different color hues. 1, 2, 3, & 4 chip versions available. 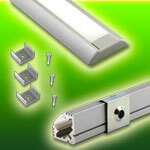 Our Ribbon Star LED Strip Lights are the most widely used product for architectural applications. Available for both indoor and outdoor use, our LED Strips can be used to light any type of architectural creation, creating a uniform and even lighting that is sure to impress. Use to light buildings, stair cases, sculptures, eves, over hangs, coves, water features, or any imaginable surface. 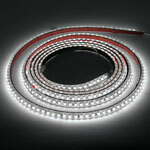 A large variety of Non-Water Resistant LED Strip Lights. Available in RGB W & WW, RGB, White, Warm White, Red, Green, Blue, & Amber. 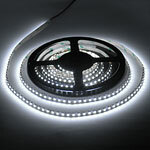 A large variety of Water Resistant and Waterproof LED Strip Lights. Available in RGB, White, Warm White, Red, Green, Blue, & Amber. 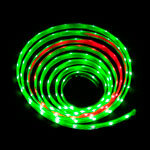 A large variety of color changing RGB LED Strip Lights. Available in RGB+W, RGB, and Digital RGB. Millions of color possibilities. 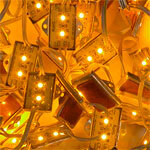 LED Light bulbs and fixture will bring an eye opening accent to any type of architectural building or design. Use outdoor wall washers or fixtures to accent buildings, sculptures and water features. Use inside to create one of a kind energy saving light displays for stair ways, hall ways, living rooms, coves, vaulted ceilings, or anywhere that you want an energy saving and super bright LED light. We carry a large variety of LED Bulbs, including Down Lights, PAR LED Bulbs, MR16, GU10, GU5.3, E27, G4, RGB, and fluorescent replacements. High brightness LED Wall Washers are perfect for indoor and outdoor applications. Available in White and RGB and able to shine over 45ft. 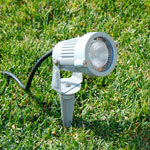 High brightness Pool Lights and Landscape LED Outdoor Fixtures. Available in color changing RGB for over 16 million color hues. 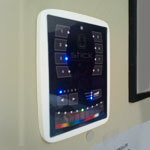 LED Lighting controls will bring one of a kind dimming and color changing control to your architectural application. Use a PWM dimmer to dim your single color LEDs to suite any mood, or use and RGB controller or DMX control to bring one of a kind color changing effects that are sure to impress. 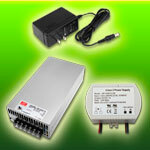 Pulse Width Modulation Dimmers for dimming your 12-24VDC LED Lights. Choose from knob, touch, or remote controller dimming. 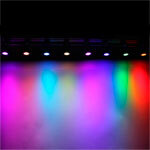 We carry a large variety of RGB LED Controllers for controlling your 12-24VDC RGB color changing LED Lights. 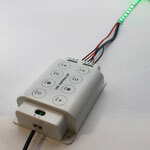 We have a variety of DMX Controllers for creating customizable and fully unique light scenes that are programmed using a computer.